PETALING JAYA: Singapore billionaire Peter Lim, dubbed the “Remisier King”, has signed a deal with the Johor royal family to acquire 10ha in Johor for the development of a medical hub and a marina city. Lim wants to develop the 10ha into a medical hub and marina city. The joint venture company behind the development is Best Blend Sdn Bhd, which Lim owns 70%, and the royal family owns 30%. 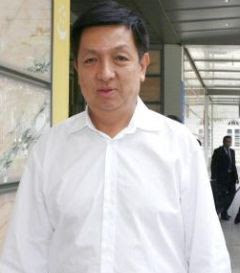 Lim is ranked by Forbes business magazine as Singapore's eighth wealthiest individual with a fortune of S$1.8bil. “The cost of the medical hub is estimated at S$200mil and the total development cost could range from S$1bil to S$2bil. The medical hub will be funded through a mixture of debt and equity,” said Koh Kim Huat, a director of Best Blend. The hospital, when completed, will be managed by Thomson International Health Services, the consultancy and management division of Thomson Medical Pte Ltd.
Singapore-listed Thomson Medical was taken private by Lim last year. It is described as a leading healthcare service provider in Singapore for obstetrics, gynaecology and paediatric service. The site of this hub is located at Bandar Johor Baru, and is within close proximity to Johor's new royal customs, immigration and quarantine complex as well as Singapore's Woodlands checkpoint. The first phase of the project will see the construction of a medical hub which will include a private hospital and healthcare-related facilities and also supporting facilities including serviced apartments, a mega shopping mall and a mega fully secured car park. A special feature of the complex is a state-of-the-art security deterrence and detection systems. The 200-bed general hospital will house centres of excellence for diabetes, orthopaedics, ophthalmology, women's health, and a state-of-the-art day surgery centre. “The medical hub will provide quality private healthcare at affordable prices to Singaporeans and Malaysians,” said Koh. When asked whether TMC Life Sciences would be involved in the medical hub, Koh said there were no plans at this point. Lim made headlines in Malaysia last year when he bought a substantial stake in TMC Life Sciences Bhd, a private healthcare group which is popular for its fertility treatments. Lim is now the largest shareholder of TMC with 32.59% stake. Koh said fertility would be one of the key focus segments of the hospital. Among others, the focus for the hub will be the treatment of chronic and lifestyle diseases associated with growing affluence and which afflicts increasing numbers of Malaysians. The hub aims to provide a one-stop centre for chronic disease management of diabetic patients. A training school will be set up for nurses and medical technicians. KUALA LUMPUR Sime Darby Bhd, which bought a 30 per cent stake in Eastern & Oriental Bhd (E&O), will unveil its potential collaboration with the property developer on November 25. Sime president and group chief executive Datuk Mohd Bakke Salleh said more details would be known on that day, which is also the day that Sime will announce its first quarter results ended September. "We will announce the E&O collaboration, outlook for the next financial year as well as Sime's 2012 KPI (Key Performance Index) target on November 25," Bakke said after its annual shareholders meeting. Sime bought the 30 per cent stake in the Penang-based property developer for RM766 million in August. The conglomerate, however, has not nominated any board representation in E&O, even though it has management control. "No plans yet on board representation but the directors will have to go through the process." Bakke said Sime also had no plans to increase its stake in E&O. PETALING JAYA: Melati Ehsan Holdings Bhd will design and build medium-cost flats in the vicinity of Sentul, after clinching a RM297mil contract from the Government. In unveiling the location of the project, a source revealed that the company would embark on the project on two separate parcels of land in the area, which would ultimately see more residences being supplied to cater to the growing demand in Kuala Lumpur city and its surrounding area. The company had announced earlier that it had won the contract to build residential flats for the Housing and Local Government Ministry's People's Housing Programme (PPR), without revealing further details. “It (Melati Ehsan) will be tasked with the design and building of the flats, while the authorities are still responsible for selling and distributing the units,” the source said. According to the source, the two pieces of land are currently occupied by squatters, and it would be a resettlement plan (for the people staying there) and the project would provide new residences for eager homeowners. The company said the contract had been awarded to its wholly-owned subsidiary, Pembinaan Kery Sdn Bhd, and that it had just received the letter of award. It said the contract would be split into two portions: one part is valued at RM82.1mil for the provision of 500 units of flats, and the other is for 1,600 units of flats worth RM215.9mil. The flats will probably be sold for between RM135,000 and RM164,000 each. They are expected to be completed earliest by 2014, assuming the construction of the 500 and 1,600 units are completed on schedule by 30 and 36 months respectively. If the flats are sold at the expected prices, they will be categorised as medium-cost flats, which suggests the units will have better design and built-up than the low-cost flats in previous PPR projects. The source said compared with the old PPR flats, which only provided one parking space for every four units, the new flats would have one parking lot for each unit. Meanwhile, Melati Ehsan is also busy with a RM1.62bil joint property development project with the Selangor State Development Authority in Kelana Jaya, where it is redeveloping the PKNS Sports Complex. The 30-year old complex, which includes a field, six tennis courts and a clubhouse, will most likely make way for a sports-themed mixed development with five 35-storey apartment blocks, two 15-storey business complexes, a performing arts centre and an integrated sporting hub. Cosy: A bedroom in the bungalow. Large families will testify to the fact that even the most spacious-looking home can fail to meet expectations when they eventually move in with their belongings. Years go by, and it becomes apparent that life would be easier with an extra bathroom here and another bedroom there. And the children will chime in that an added play area would be just great, too. Bukit Bayu in Section U10 in Shah Alam, nestled next to the Bukit Cherakah Forest Reserve, is everything a family needs as they grow together. Luxurious five- to six-bedroom bungalows are being built with a children’s retreat and lots of storage space. Only 133 bungalows are being built by Melati Ehsan Holdings Berhad in two phases and the development will see 65 units completed in the first phase while the remainder will be in phase two. Melati Ehsan managing director Tan Sri Yap Suan Chee said besides being spacious, Bukit Bayu bungalows were stylish. “First impressions are important, once inside the main door. “You will be immediately captivated by the breadth and height, all of which are enhanced by the sweep of a stairway with huge windows that stream in natural lighting,” he said. He added that the formal living and dining area was an open plan and light-filled, with windows covering almost one wall in the dining room. Executive director Datuk Tan Hong Ming said in the kitchen, there was space to incorporate a large U-shaped island bench so that a cook could actually serve meals for even the largest gathering of family and friends. “Storage is also a design priority here, and owners should have no problem accommodating a twin- door refrigerator, an array of built-in cupboards and even a walk-in pantry,” he said. 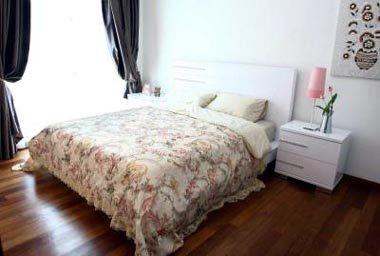 After the launch of Bukit Bayu by Shah Alam mayor Datuk Mohd Jaafar Mohd Atan recently, reporters were taken on a tour of the show units where up the staircases were five roomy bedrooms. On the first floor is another family area and five bedrooms. The master bedroom is actually a suite. It has space for two large walk-in wardrobes and a spacious attached bedroom. In fact, the bathroom is so large its various functions can be physically segregated. In one portion, a toilet and bidet can be installed, while another part can be used as a shower room. Other rooms have been styled with practicality in mind. Yap said Bukit Bayu was a person’s passport to a life enriched by the beauty of nature as the neighbouring forest offered refreshingly crisp, cool air . Owners of the bungalows will have a guarded concept and enjoy the luxurious clubhouse that has a swimming pool and multipurpose hall.